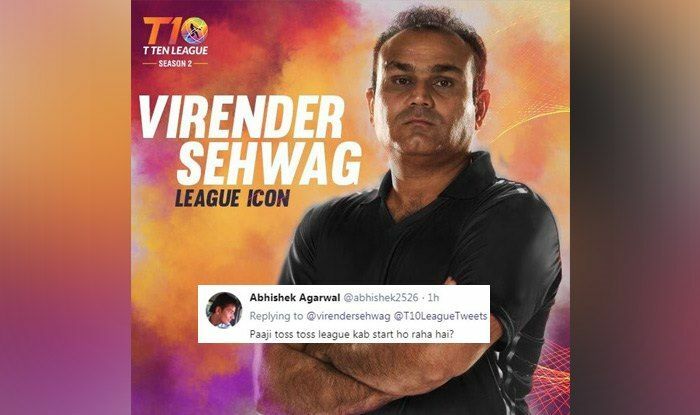 India – Former India cricketer Virender Sehwag who has a huge fan base on social space got trolled after he made a post about an upcoming T10 league. Former India cricketer Virender Sehwag who has a huge fan base on social space got trolled after he made a post about an upcoming T10 league. His post read, “The T10LeagueTweets looks stronger than ever with its added teams and ICC/ECB sanctions in place. World’s first ten overs cricket league ready to roll from 23 November. From feeling that after T20, T10 could be the last nail in the coffin for cricket to fans suggesting when will Super Over Leagues start, Sehwag’s fans did not leave any stone unturned while roasting him. Sehwag is a part of the broadcast team of Star Sports and is known as somebody who speaks from his heart and that is why fans love him so much.